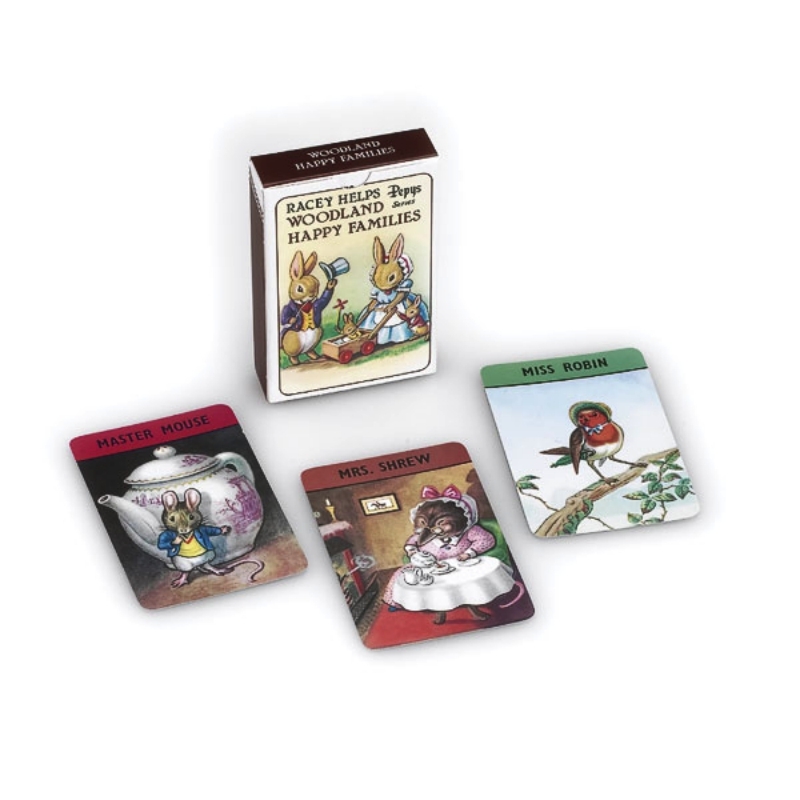 Happy Families is a card game traditionally, played in the UK, with special packs of 44 picture cards, grouped into 11 sets of 4. 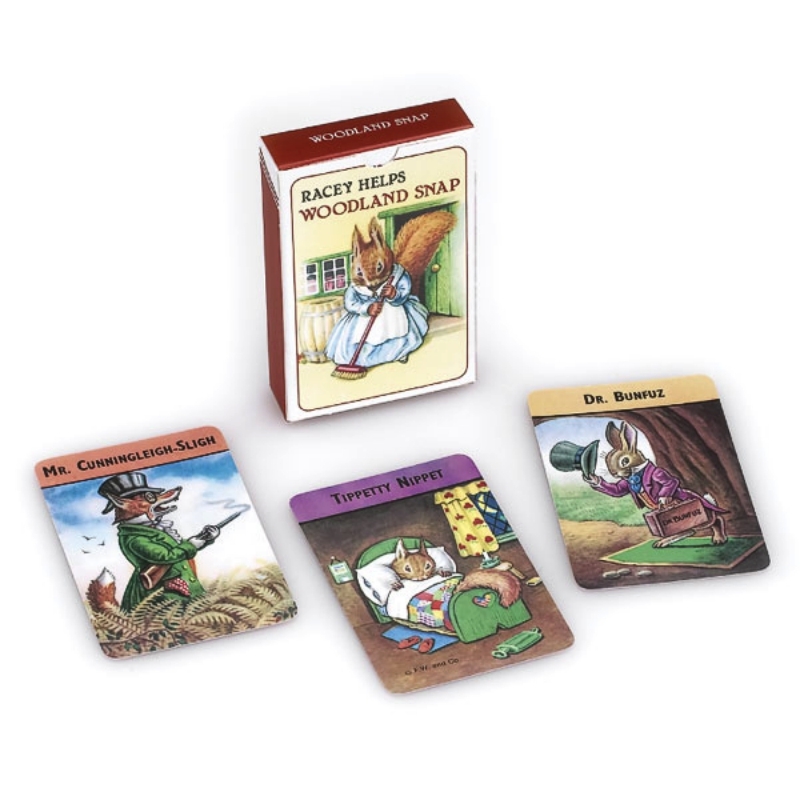 The cards feature pictures of family members or job types, for example: Bun the Baker. The idea of the game is to collect whole families. All of the cards are dealt as equally as possible and play starts by the first player (usually on the dealer’s left) asking for a certain card. 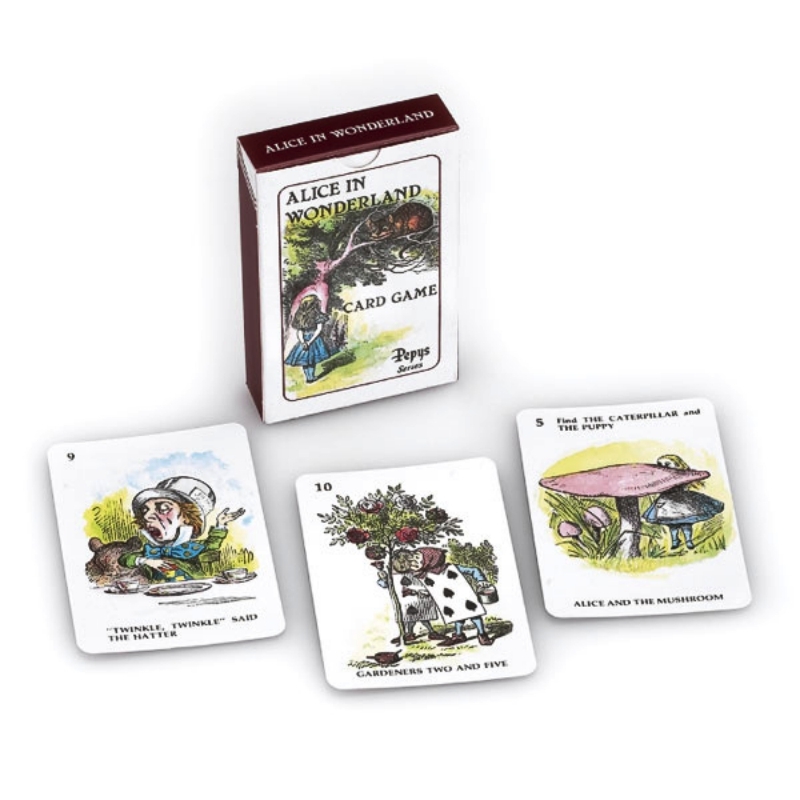 The player must already hold one of that family and asks just one other player. If the other player does not have the card it is then their turn to ask. If they do have the card, they have to pass it to the first player, who can ask again. As players form sets of 4 they place them face down in front and the winner is the first player to group all their cards into sets. In 1851 the games manufacturer John Jaques of London commissioned a set of drawings from John Tenniel, later Sir John, the chief cartoonist of Punch, for their new game of Happy Families. 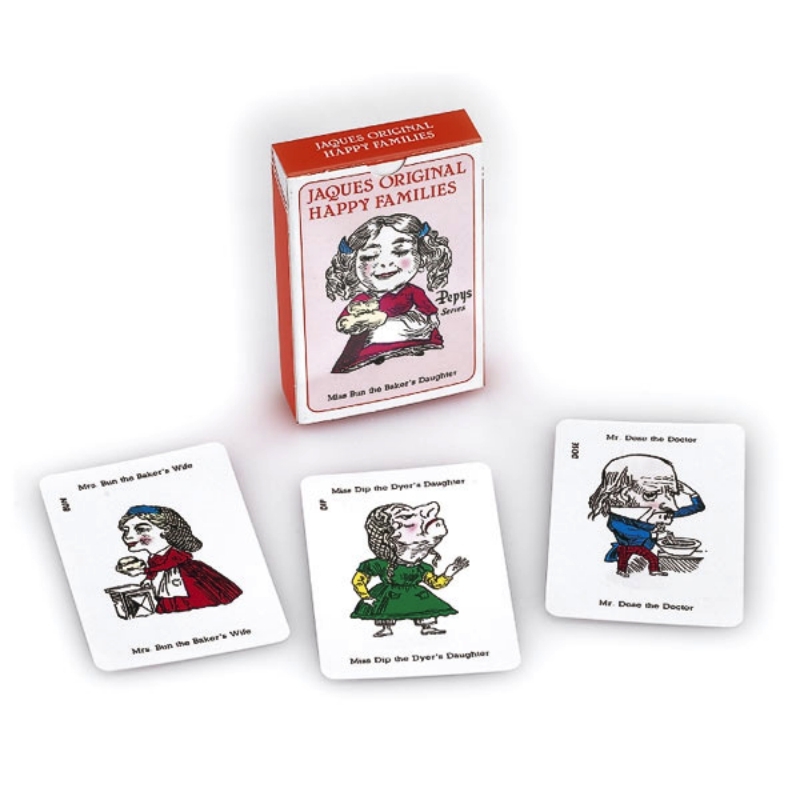 The game was shown at the Great Exhibition of that year and was an instant success, rapidly superseding similar games such as John Bull in which players also collected sets of four cards. Jaques’ version of Happy Families remained popular until the Second World War, but was lucky to survive thereafter. In 1941, during the Blitz, a large bomb destroyed the Hatton Garden factory. However, a safe, which had been kept at the top of the building and had fallen through to the basement, yielded the charred remains of an old pattern book, which included the originals for all the firm’s card games and one example of the Happy Families card game – Master Potts the Painter’s son. Later the printing plates for the game were discovered intact and so Happy Families lived on.